Very nice place in a wonderful location! Fantastic. Lovely, helpful and friendly staff. Just what we needed. The hostel is warm, clean and welcoming. Excellent value for money. Parking is secure. Location is super, close to shops pubs and restaurants. Will definitely stay again. Thank you. Great central location fab showers would use this place again. Stayed here before longer term. Great central base. Comfortable with more than sufficient facilities for the number of guests, though the drying room could be bigger, staff are helpful and accommodating. 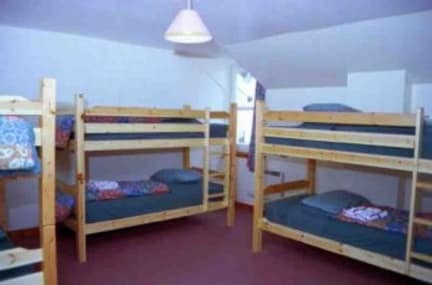 This hostel is in an excellent location if you are arriving by train or by bus. The staff was friendly and helpful. The rooms were comfortable however, for a room of 4 people, only two sets of keys were available which is logistically very challenging. The bathrooms were also tight and got crowded quickly, but were very clean. This hostel also seemed to attract an older crowd - definitely more older adults then students. Overall, a good place to stop over to enjoy Fort Williams. Had a pleasant stay at the Bank Street Lodge! In winter there are not so many people so I booked a shared, bunk bed room and I had it all for myself! Staff is really kind and the location of te hostel is central. The bathroom was not so clean unfortunately. For one night it was alright to stay in the hostel, however I wouldn't recommend it for a longer stay than that. The room looked clean at the beginning but a few minutes later some kind of insect run over my leg. The heater wasn't working but fairly enough after I asked for help a nice lady at the reception solved that problem. Regarding the kitchen, microwavable food is the way to go-it took me an hour to get my water to boil on the old stove they have and lots of the pans look really crusty. 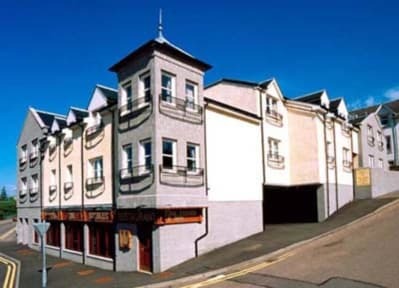 Very good location right in heart of Fort William so I expected it might be quite busy/noisy. Kitchen was very small and the dining/lounge area right next door to my room so very noisy. Disappointed with the bathroom facilities. Two showers with curtains and door that opens straight onto hallway - rather open to public and no hooks to hang gear or space. The location is great and the reception staff was friendly. Toilets and showers were all together in one open space. Lots of old people were staying during our stay; going to the toilet meant crossing these guys in only their boxers shaving armpits in public, which was rather uncomfortable. There wasn't a bar of sorts to drink something, so there's not much opportunity to meet other travelers. Rooms are okay but very basic (no closet or sink). Very loud floor and stairs, annoying at night.